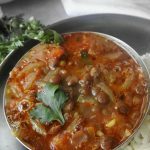 Katte Masoor Dal Recipe/ Sour Lentil Curry Recipe is a delicacy from Chhattisgarh, simple to make and yet tasty as well as healthy. Serve Khatte Masoor Dal with rice and you will be eating just what Folks from the “Rice Bowl of India” eat. Like the rest of the country, Chhattisgarh cuisine is influenced by the cuisine of the neighbouring states. Though the staple food is wheat, jowar and maize, rice is also widely consumed. Rice is used to make food as well as savoury food and hence the name as the “Rice Bowl of India”. In Chhattisgarh cuisine, the usage of spices and oil is sparing. 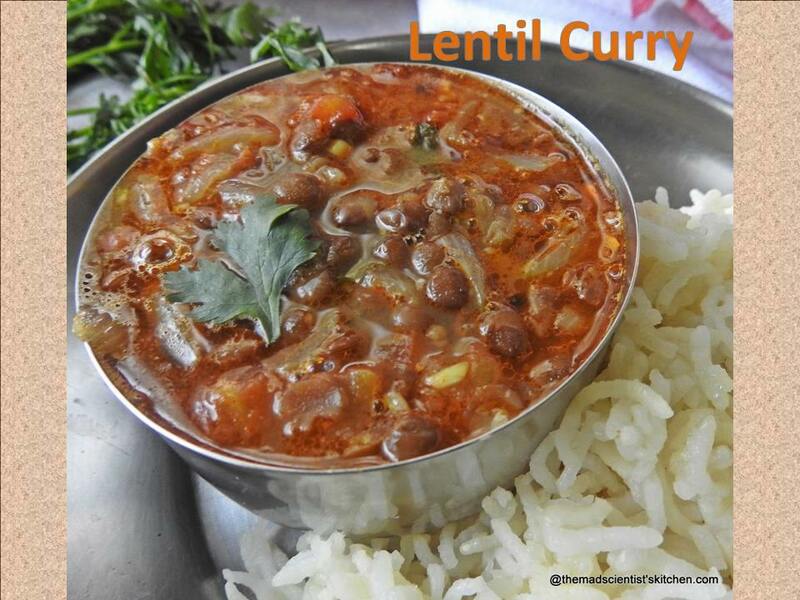 However protein-rich lentils especially Toor dal also called Arhar Dal are enjoyed. For January 2018, we are making recipes from Chhattisgarh cuisine for “Ssshhhh Secretly Cooking.” Amrita Iyer is my partner, who choose masoor and rice as my secret ingredients. I choose to make Khatte Massor Dal with rice crepes but finally had to settle for steamed rice. This recipe I copied from here. Curds used to make the masoor to make it more flavourful, tasty, and tangy. The masoor dal is so delicious, flavourful and filling and the dal does not need any side dish to complete it. In the past, I made Fara (Phara) for Blogging Marathon and I had a list of the dishes that I wanted to make but unfortunately, I cannot find it now. Anyway will get down to what I want to try later. So the main ingredients are whole masoor, curds. The rest you can add or reduce as you wish. You can use tamarind also to make the dal but then it tastes different from this one. Trust me I make the tamarind one on a regular basis. Wash and rinse the masoor pick stones out if any, and then pressure cook for 2 whistles on high flame and keep for about 10 minutes on low flame. Let the pressure come down naturally. Meanwhile, slice the onions and chop tomato fine. In a pan/kadhai/wok heat, the oil add the jeera and once they splutter, add the hing. Add onion and sauté for a minute. Add ginger-garlic paste and cook until onion becomes light golden brown. Next add the add chilli powder, coriander powder and turmeric powder. Mix well and sauté for a minute and add tomato and cook until are mashed well. Cook until the oil comes out. Add cooked dal and 1-2 cups water and bring it to boil. Add salt and beaten curd mix well and bring it to a boil. Garam masala and simmer for 5 minutes on low flame. Switch off the flame and cover the dal. Let it sit covered for 5-10 minutes then serve. Serve hot with steamed rice or roti and sides of pickle, papad and a simple stir-fry. A delicacy from Chhattisgarh, simple to make and yet tasty as well as healthy. Comfort meal.. looks so tempting. That looks delicious. I love masoor dal and gravies that are curd based so this dish is just right for me. Mildly spiced and full of flavours as I can see from the recipe. A Great share. Dal looks lovely.. I love any kind of dal preparation. I make masoor dal often but definitely will have to try the khatta version. Must be so tasty… but then I love yogurt in anything. 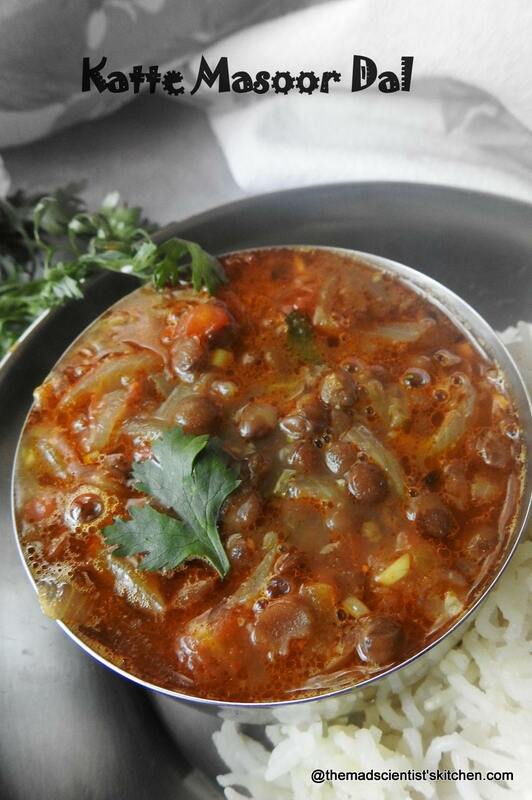 This is an interesting recipe and the dal looks scrumptious! Ive made number of dals but hadn’t thought of using curd in any of them! Must try this soon! I Love gravies and this looks so tempting. No doubt about the taste of it. 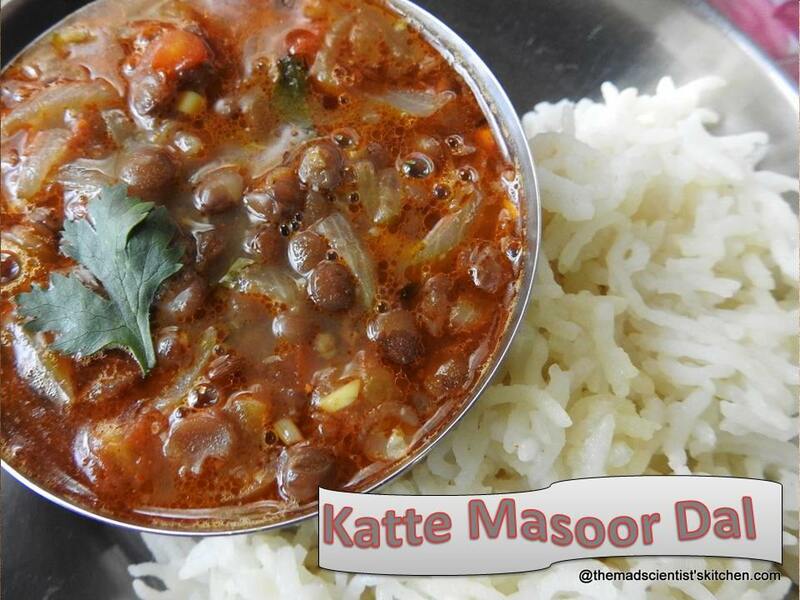 Would love to enjoy this katte masoor dal with some rice and papads, delicious dish. Different method of dal preparation , never tasted masoor dhal……. Heatlhy version of dhal with curd and I love the curry colour.. Can dig bowl of hot steamed rice with this curry..
You hit it on the nail. Tastes great with rice. Such a comforting and delicious Khatte Masoor, protein-packed dishes are welcome in my kitchen.